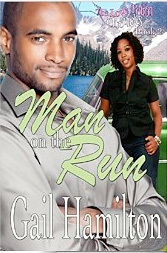 Man on the Run, book two of the Love Potion Chronicles, has just come out. I really had a lot of fun writing this one. I sent my heroine, Lydia Marshall, on a mission to reclaim the last of the “love potion” from a test subject before it creates any more havoc. When she finally tracks Damon down, she finds the tongue-tied, basement-dwelling computer game geek transformed into a wild thrill seeker determined to sweep her along with him. What’s more, he gleefully claims to have guzzled the potion, a chemical meant strictly for external use only. In a panic about what the stuff may be doing to him, elegant Lydia dares not leave Damon on his own. So rollicking up the West Coast they go, whale watching, kite flying, balloon riding and whatever else Damon can spring on her — including some very tempting kisses. But are her sizzling new feelings real or potion-induced? And what will Damon do if she finally succeeds in destroying the very thing that is changing his life?